If you are in need of Sterling Heights Vinyl Fencing, please contact Michigan Fence Solutions at (586) 697-5379 for a free estimate. You may also click here to learn more about us or see our excellent reviews on Google. The maintenance required in vinyl fences is next to nothing. Just some general cleaning with soap and water is sufficient to keep your vinyl fence clean and sparkling. Since it does not change color or lose its color, there is no need to repaint it often. You do not have to apply any primer on it or protect it from rust. There is also no danger of rotting or termite attacks when you have vinyl fencing. 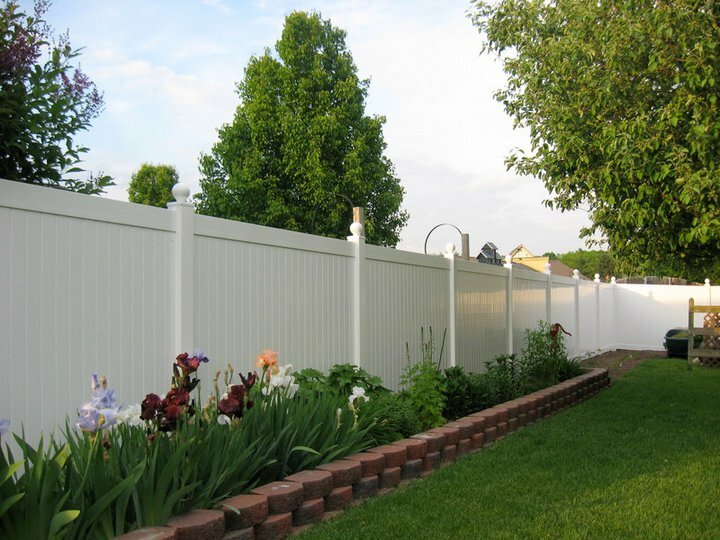 Vinyl fencing is non-toxic because it is not treated with harmful or hazardous chemicals. Since it is recycled, there is no wastage involved. Vinyl consists of 51 percent of chlorine which is derived from salt, and 49 percent is made from hydrocarbons that are derived from natural gas. Natural gas is also very cheap right now which should mean this is a good time to buy a fence of this make. America is loaded in natural resource and soon all heavy big rigs will run on this fuel source, keeping America’s money in house. Moreover, recycling vinyl is slowly but steadily gathering momentum which only makes sense for the aforementioned reasons and ones to follow. The cost of buying a vinyl fence is much cheaper than that of a wood or iron fence (as already touched upon). Also, since there is no maintenance required, you will also save the money you might have to spend on maintaining a wood or iron fence at least a couple of times in a year. This includes savings on the repainting costs as well as costs of primer or any other treatments that might have to be done to keep the fence safe from termites and rot. Since vinyl fences are very easy to install, most people can put them up by themselves. All you have to do is slide the rails into the posts and then secure the posts into the ground. This again translates into savings because you will not have to pay a professional to do the installation for you unless you want to pass on this manual labor. In case you need to replace the fence after a few years, it will not be difficult because removing the old one and affixing a new one will be just as easy. For expert Sterling Heights Vinyl Fencing, please call Michigan Fence Solutions at (586) 697-5379 for a free consultation.